The Distillery Oak has been beautifully hand crafted, creating a deep smoked patina which will improve with age. These planks have been hand spoked on the long tongue and groove edge creating an imperfect joint that looks like it has stood the test of time over the last century. The natural French Oak has been enhanced with subtle ageing techniques which will look stunning in any environment, this has been finished off with hard wax oil adding to the ultimate durability of the floor. 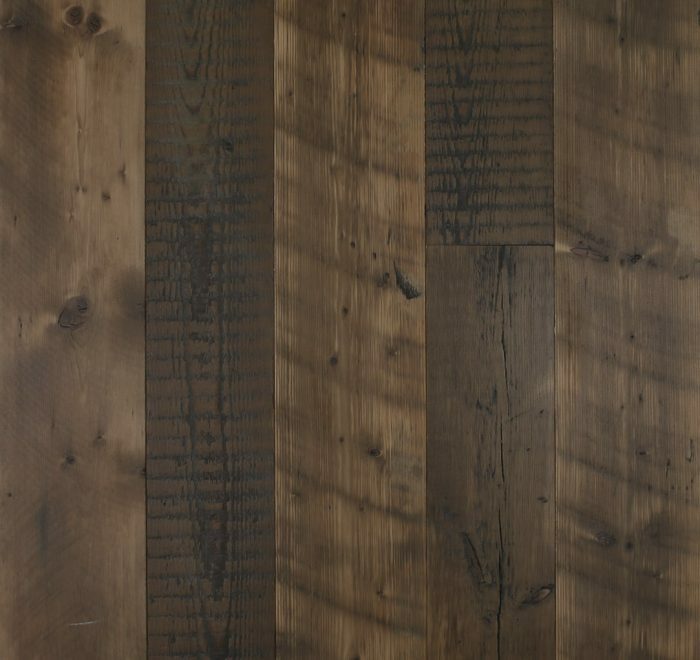 This floor is one of our best sellers and will stand the test of time, add the wow factory to your space.